Inspired by my last post, I asked the blog’s Facebook followers to tell me about their favorite pies. Many of them not only said a flavor but also told a family story to go with it. It seems that pie inspires a lot of memories. 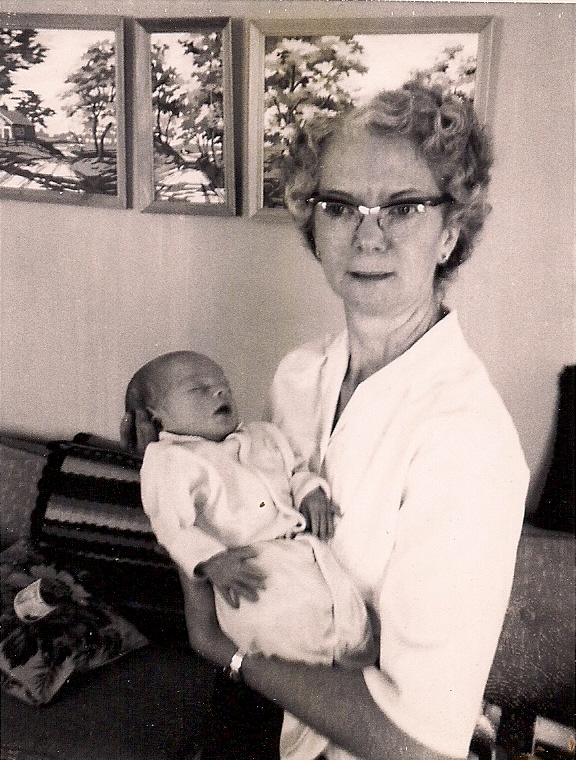 “Mamaw’s country dinners were always delicious, but what everyone most anticipated was the dessert. 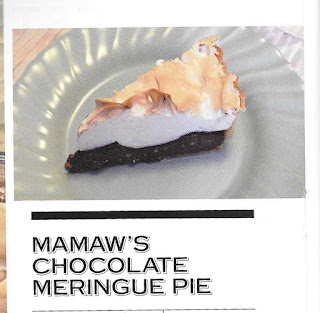 Her chocolate meringue pie made an appearance at every holiday meal. It was mandatory. The meal wasn’t officially a celebration until the pie made it to the table. In a large bowl, place the egg whites and the cream of tartar. Turn the mixer on to medium-high and beat until the egg whites form soft peaks. Continue beating while slowing adding the sugar 1 tablespoon at a time. Beat until the egg whites are glossy and form stiff peaks. Set aside. Preheat the oven to 325 degrees F. In a heavy-bottomed saucepan, place the sugar, cocoa powder, cornstarch, and salt. Whisk together. Slowly whisk in the milk. Place the pan over medium-high heat and cook, stirring constantly, until the mixture thickens and starts to bubble. Reduce the heat to medium and continue to cook for 2 minutes. Remove from the heat. Stir about 1 cup of the hot mixture into the egg yolks, and then pour the egg yolk mixture into the saucepan with the remaining filling. Return to the heat and bring to just a boil. Cook for 2 minutes, stirring constantly. Remove from the heat and stir in the vanilla. Pour the hot filling into the prepared pie crust. 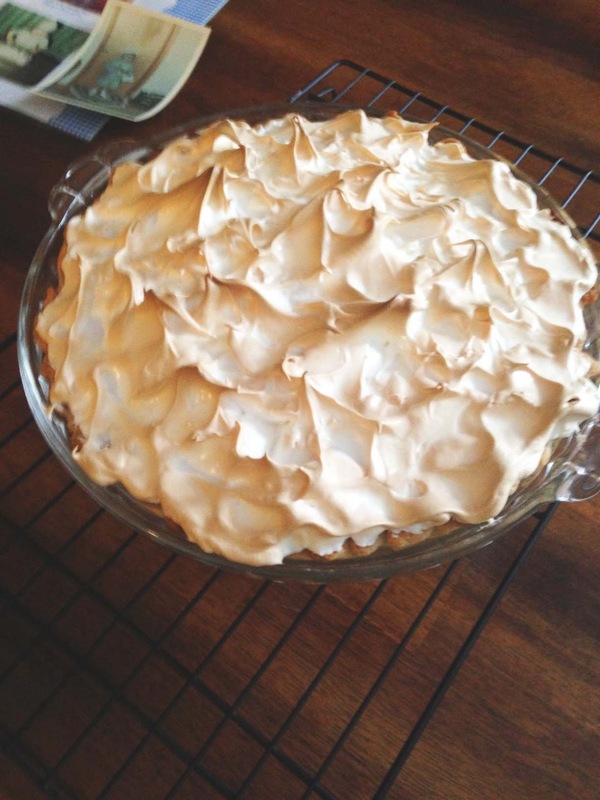 Spoon the meringue over the hot filling, making sure to spread it out so it adheres to the edge of the crust. Create swirls with the back of a spoon. Place the pie in the oven and bake until the meringue is golden brown, about 20 minutes. Cool on a rack for at least two hours before serving. 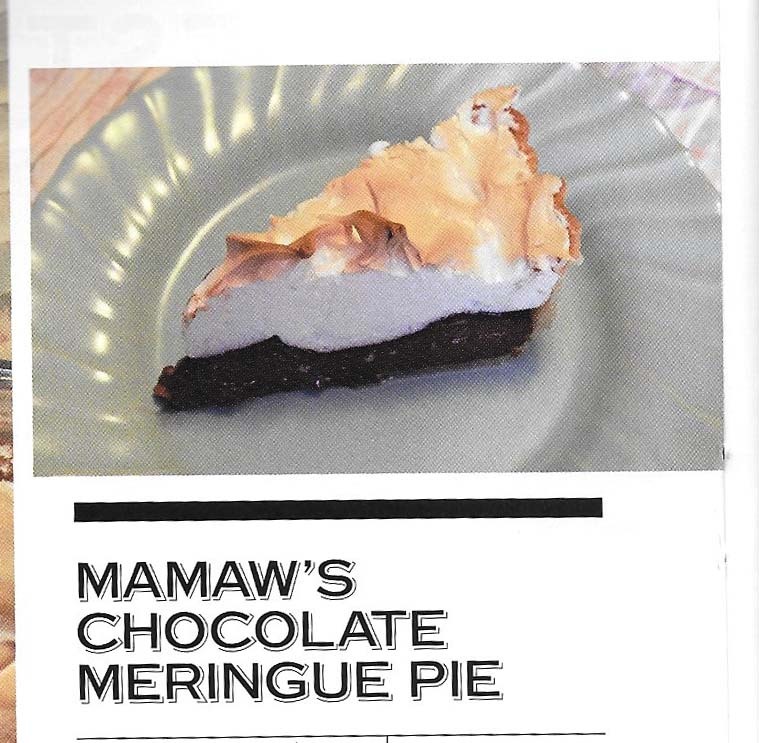 Your chocolate meringue pie looks delicious. I am possibly wrong but I read "tons" of recipes and recipe blogs. I seldom see anyone indicate the oven should be preheating while preparing the pie so that the oven is ready to brown the meringue. A small thing maybe but waiting for the oven to heat up after it is all prepared is not only a waste of time but possibly might impact the success of the meringue. I LOVE meringue and that love is not shared by most of my relatives. I can't understand that. Anyway, my love goes back to the late 40's when my grandmother made lemon meringue pies. I had to be restrained from using my finger to wipe up the dots of caramel colored liquid that appeared on top. I've learned since that that isn't necessarily desirable but it was so delicious and tempting to me. I can't wait to try your chocolate pie recipe. You are so right about not seeing many pies with meringue. Most go for whipped cream. I think meringues were popular because they could sit out on the table for longer periods of time than cream ones. My first try at this pie had your treasured caramel colored dots all over the top! lol Thanks for your comment! what lovely meringue pie, Im a Louise's friend, nice to meet you! Thank you, Gloria! Nice to meet you, too! Welcome! I am vegan I don't eat meat at all. I don't know how it taste like nor I wanted to taste it because of my commitment to my diet plan but I guess watching protein won't harm anyone .